My name is Vera Gargano. I work at Kennesaw State University and I am a parishioner at St. Mary of Egypt Russian Orthodox Church in Roswell, GA. In our church, we have a 17-year-old young lady whose name is Polina. She came to United States from Russia 6 years ago with the help of the First Lady, Michelle Obama. She is currently in a desperate need of a kidney transplant, but she needs your financial help to get there. Please read her story and consider to help her out. Polina was born in Moscow, Russia with a rare birth defect that is known today as Caudal Regression Syndrome - a congenital disorder in which the development of the lower half of the body is slowed causing underdeveloped organs and frog legs. Her parents were told by the doctors that she will not survive beyond a day due to her illness and were told that their best option for Polina is to leave her in the hospital to die. Her parents listened and surrendered their parenting rights to the Russian government and left her in the hospital. However, by the grace of God, Polina survived and was handed into a government orphanage which allowed the hospital unlimited access to Polina. When she was hospitalized, the doctors would do undocumented surgeries on her and treat her like a lab rat. We do not know for certain how many surgeries there were, but from what Polina remembers, there were at least 6. At the age of 8, Polina was found by a private orphanage that was owned by a local Russian Orthodox church. They sent her to a private school that was also owned by them. 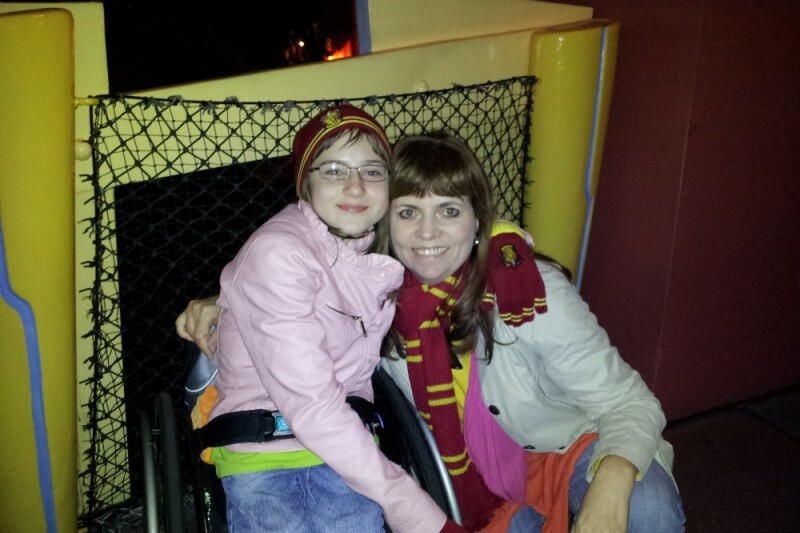 As she was getting smarter, she was also growing and her legs started pushing into the sides of her wheelchair. When she hit the age of 10, she was in the widest adult chair available and it was still not wide enough. At that time, Michelle Obama was visiting Moscow and wanted to visit a school and with God’s grace, she picked Polina’s. When Michelle heard Polina’s story, she was touched and contacted the Moscow U.S. Embassy to find doctors that could help her. Polina came to United States on a medical visa in February, 2010 with a teacher at the orphanage who previously lived in the States and came to our church. That is how I got to know Polina. After the first 2 surgeries here (straining of the legs and bladder augmentation), in became clear very fast that she could not go back to Russia. She needed disposable catheters to prevent infection and further treatment for her spine and legs. Polina was looking for a family which is when another one of our parishioner, Marina, decided to adopt Polina. She genuinely felt that Polina’s death would be on her hands if she would not have taken the responsibility to protect her. However, Marina was a green card holder and was not able to adopt her and soon after, Russia declared that the adoption between United States is closed. She was able to get guardianship and have Polina be put on her medical insurance. Since then, Polina has had another 5 surgeries, was able to get a functioning, custom-made wheelchair and attend physical therapy which Marina was able to pay for with the help of the insurance and using up all of her savings/credit cards. While Polina was undergoing her treatment, she went to school, took singing, flute and violin lessons and later picked up wheelchair basketball. She also likes to draw and write in her spare time. With a help of an immigration lawyer, Polina was able to get a green card through juvenile court in November 2014. In November of last year, Polina’s kidneys failed. She is currently on hemodialysis three times a week and is too weak to continue going to school or playing basketball. Polina was put on the national transplant list and is currently waiting for a kidney. While Marina’s medical insurance will cover much of the transplant, there are additional costs such as the donor's travel expenses, loss of wages for the donor, ongoing medication, treatments and unforeseen expenditures to pay out of pocket. Removing these financial worries will allow Marina and Polina to focus their energies on a successful transplant. We appreciate your gracious gifts and consideration. We can provide tax reciep for the donated amount. If you would like to receive the tax receipt, please, include your request and mailing address in the "Leave a comment" field during your donation. As some of you may know from Facebook, Polina was able to get a donor -- her adoptive mother, Marina. The surgery is planned to be done on the July 12th (of this year) and both are very happy that the dialysis will soon come to an end. Thank you very one who tested and for all of your donations, however, the fight isn't over yet. Marina and Polina still have to cover any left over expenses post-surgery so please, help if you can. Polina's dialysis has been going well this past week, however, she is feeling weaker and more tired. The hospital told them that the living donor tests are coming along well, but they still do not know if any of them are a match. This weekend Polina and Marina are planning to go to Alabama to see Polina's team compete in a tournament. I really hope this helps spread the word. Thank you again to everyone for you donations. Дорогая Полиночка!Желаю тебе чтобы все получилось.Долгих лет жизни.С Богом дорогая девочка! Привет Марине!